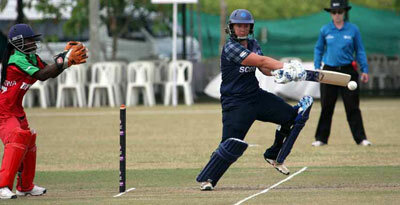 Kari Carswell is returning to Scotland after a stint working in New Zealand with Northern Districts in Hamilton. She has been appointed to lead Edinburgh South's new Women's Performance Section, delivering a programme which is a first of its kind for women's club cricket in Scotland. An Edinburgh spokesperson said: “We believe sets a new benchmark for investing in the women's game. We are delighted to get this off the ground and to have someone as talented as Kari to help us lead it. There are few better qualified than Carswell to lead the programme, who has in a remarkable career broke all records with the Wildcats as player, captain and then coach. We wish her well in her new post.